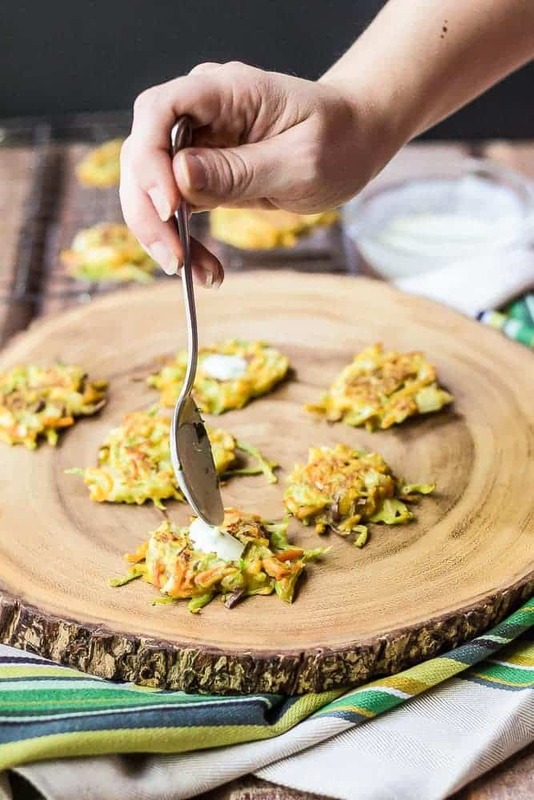 Mini vegetable latkes are a festive party-ready snack that are healthier than the traditional potato variety. Whenever people ask how my husband and I met, we laugh a little before explaining. You see, we met in college, in Hebrew class. No, I am not Jewish. No, he isn’t either. At the time my major was classical and Near Eastern archaeology, which came with the requirement of studying Greek, Latin, or Hebrew. While Latin would certainly have been the easiest (hello Roman alphabet) I went with Hebrew, motivated in part by my trip to Israel after freshman year. For his part, my husband was taking it because his best friend was Israeli. These two circumstances combined for us to meet, although we didn’t start dating until we were both done with the class, a year later. Because of this we always feel a bit of affinity for Hanukkah, and I love to cook up latkes each year. This year I wanted to go for something different (and a bit healthier) so I opted to skip the traditional white potato and go for sweet potato, broccoli, and carrots. We get a lot of those in our CSA delivery this time of year, so instead of making soup all the time I opt for things like broccoli cheese toasties or carrot fritters, which are similar to these mini latkes. 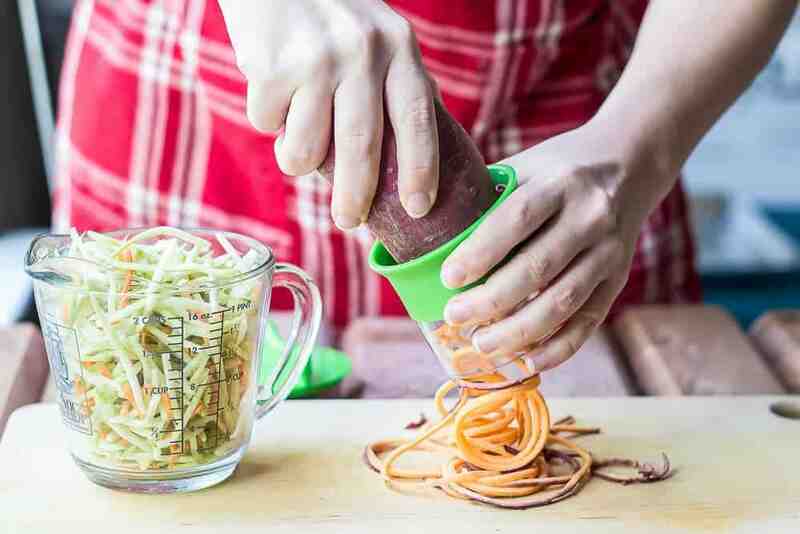 You can use a shortcut like broccoli slaw to make these, or a food processor. For the sweet potato I used my small spiralizer, which I find works better to keep the texture of the potato (and it’s easier to clean). I also used a lesser amount of oil on a nonstick pan, making the latkes crispy without excess oil. And, just because I love all miniature foods, I formed these with a small cookie scoop to make them snack size. They’re perfect for dipping into sauces, like the herbed mascarpone sauce I made by mixing melted homemade mascarpone with fresh herbs and a bit of salt. The small size makes them even more kid-friendly, despite all those vegetables packed inside. 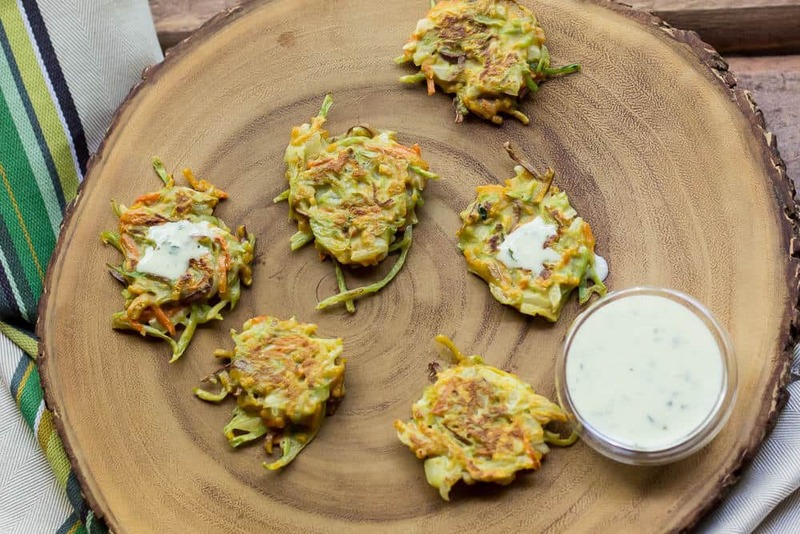 If you’re celebrating Hanukkah this year, you should try adding these mini vegetable latkes to your holiday table. Or, if you don’t celebrate the holiday, just make a batch for your next cocktail party or dinner! Place the broccoli and carrots n a microwave-safe bowl. Cover with plastic wrap and steam until soft, about 5 minutes. Cool slightly. 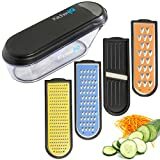 Trim ends from sweet potato and twist through a spiralizer or grate with a box grater. Stir into broccoli slaw. Beat the eggs in a mixing bowl. Add onion, flour, Parmesan, salt, pepper, and vegetables. Heat the olive oil in a large skillet. 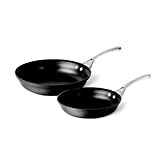 When hot, drop heaping teaspoons of batter into the pan. Cook until golden brown, about 2 minutes per side. To make sauce, heat mascarpone cheese until just barely melted. Stir in herbs. Serve with pancakes. Great story on how you two met! !